The Pride Center of New Jersey, Inc. The Pride Center of New Jersey, Inc. 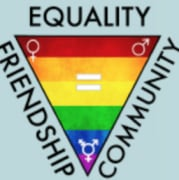 The mission of the Pride Center of New Jersey is to provide a safe and welcoming place for all in the LGBTQ+ community, especially our youth, to come for support, education/health education, and social opportunities to help grow in self-awareness, self-acceptance and self-esteem, in order to live healthier and happier lives with equality and social justice. We provide comprehensive programming and resources to foster the health and well-being of LGBTQ+ individuals and serve to normalize their lives and existence in a safe and supportive environment - when some are perhaps not even welcome or accepted in their own families. We have helped save lives by not only giving hope, but also happiness as an alternative to living in secrecy, shame, or worse, giving up on life. The Pride Center of New Jersey is now in its 25th year serving the LGBTQ+ community as an active vibrant center. Our doors are open to the greater New Jersey area. We have over a thousand visitors per year with a wide range of active participants attending any of our 400 meetings and activities, including: support, social, and special interest group meetings; programs for youth and young adults; and cultural and fun activities/events for all. The Pride Center of New Jersey is an all-volunteer 501(c)(3) non-profit organization operating solely on memberships and donations from the public and supporters of the community. All funds and sponsorships received go directly to benefit our LGBTQ+ youth and other programs. The Pride Center of New Jersey, Inc. has been fulfilling the support and social needs of thousands of gay, lesbian, bisexual, and transgendered people since first opening its doors in 1994. A fast-growing community center located in New Brunswick, The Pride Center provides "safe space" for the gay, lesbian, bi and trans community: a place to learn about our community from a vast array of resources, a place to socialize and meet new friends, a place to gain acceptance and understanding of your gender and sexual identity in an comfortable setting. The Pride Center offers a warm and welcoming atmosphere and a knowledgeable and helpful volulunteer staff. Whether New Jersey's g/l/b/t community is new or familiar to you, The Pride Center is a place to call home and return to again and again. Would you recommend The Pride Center of New Jersey, Inc.?